Spend Matters has just released an updated ranking of Scanmarket's Strategic Sourcing Platform and its position relative to other providers in the Sourcing space. Download the Solution Map: Learn more about why Scanmarket was ranked Value Leader by customers and analysts alike. Scanmarket has long been known for being a customer-friendly and nimble provider of eRFx, eAuctions, Contract Management, Project Management, Spend Analysis and Supply Base Management. This report confirms both. 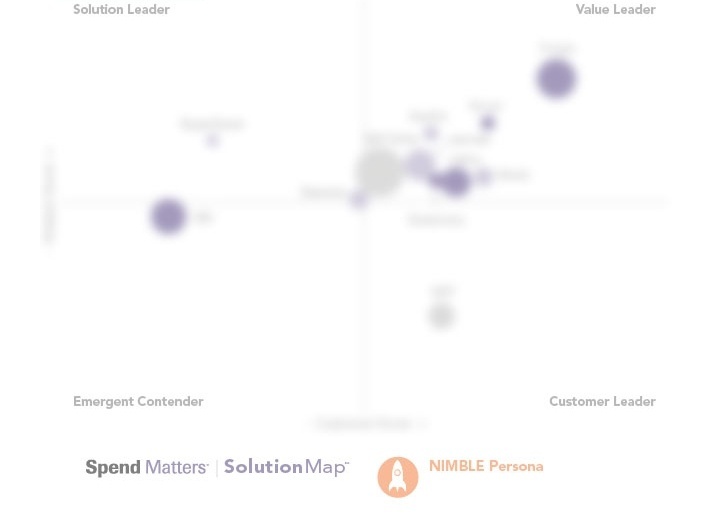 Scanmarket has a firm position with high customer and analyst scores positioning us as the Value Leader in the "Nimble Persona" evaluation. All content © Scanmarket A/S. All rights reserved.